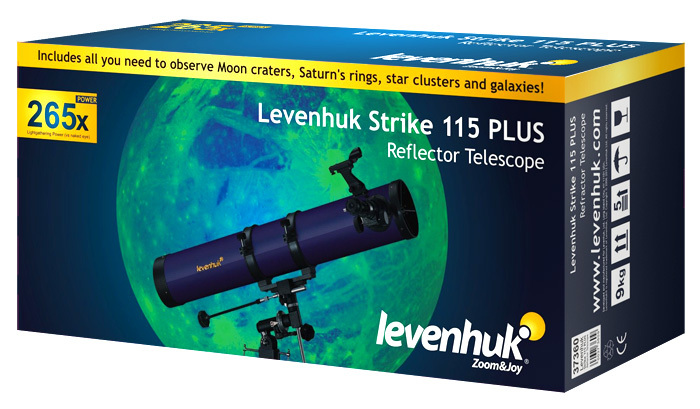 Levenhuk Strike 115 PLUS is a basic Newtonian telescope of the PLUS series. The main advantage of reflecting telescopes is complete absence of any chromatic aberrations that may be seen during observations with refracting telescopes. This model allows you to see all the famous sights of the Solar System as well as the largest and brightest deep-sky objects. You will be able to study the surfaces of planets and the Moon in great detail, behold the beautiful rings of Saturn and satellites of Jupiter; and explore the great expanse of the celestial sphere. Levenhuk Strike 115 PLUS Telescope is very easy to use. Its tube is set up on a German equatorial mount, complete with slow-motion controls. You have to align an equatorial mount before your observations, but it is far more useful than an altazimuth mount during observations of moving objects. 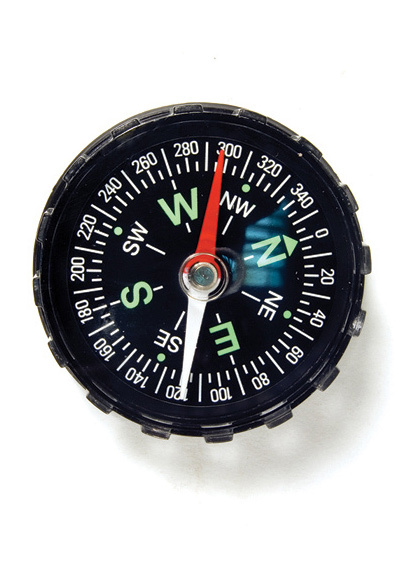 It has special setting circles that allow you to point your telescope to a celestial object using its celestial coordinates. The mount itself is installed on a sturdy and reliable steel tripod. A red dot finder, attached to the tube of the telescope, acts as a laser pointer and significantly simplifies navigation through the starry sky, allowing you to find the desired object very quickly. Levenhuk Strike PLUS Telescopes are made with high-quality optics. The series includes a refractor and two Newtonian telescopes. The Levenhuk optics used in these models are comparable to those used in professional telescopes. All the lenses and mirrors are made of fully multi-coated glass, which provides extremely sharp and saturated images of observed objects, something that Levenhuk telescopes are renowned for. The advanced kit of this series includes everything you need to get the most from your telescope. The expansive kit of additional accessories includes books and software that will help you learn more about astronomy, extra eyepieces (including a zoom eyepiece), and a Zongo 40 Telescope Case. The telescope itself comes in a colorful box. 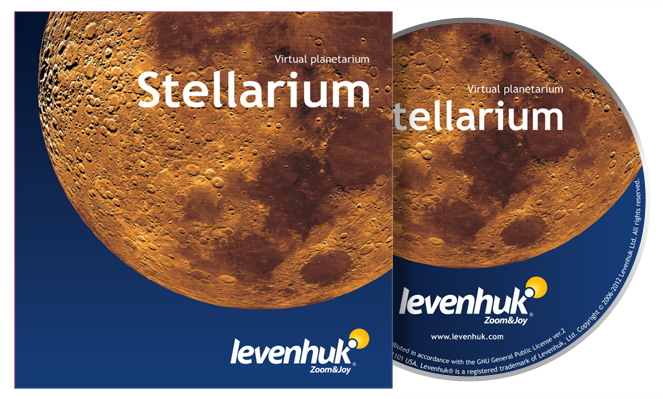 All this makes the Levenhuk Strike PLUS Telescope a wonderful present for any amateur astronomer who is fascinated by the mysteries of the cosmos. 1. “See it all!” Astronomer’s Handbook. This practical handbook was created specifically for beginning astronomers. 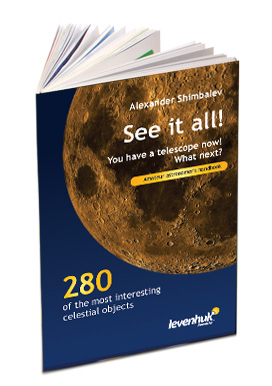 It contains valuable information on over 280 celestial objects and the cosmos in general, as well as colorful star charts and facts on the design of different telescopes. 3. Space Posters Set (Moon, Sun and Other Stars, Solar System). 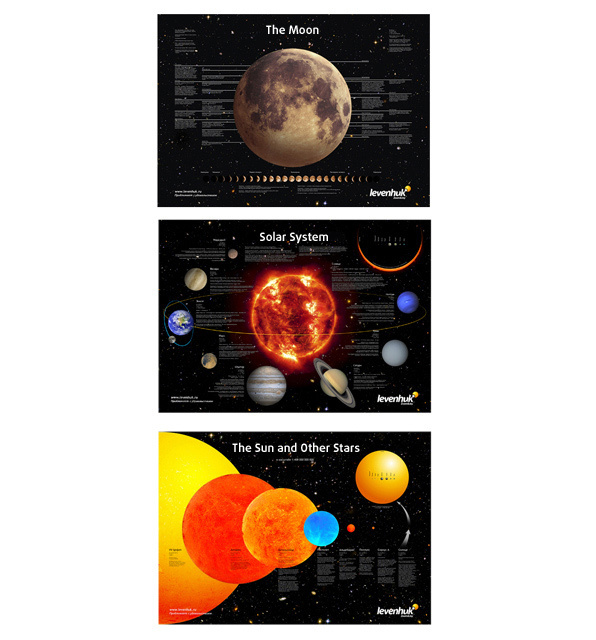 These posters will help you explore the universe and learn interesting facts about the Solar system, its planets and satellites, and various distant stars. Colorful illustrations and captions present necessary information in an easy-to-read format. The posters are 84×60 cm (33×24 in). 6. 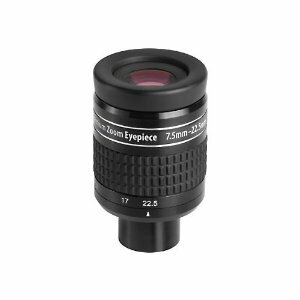 7.5-22 mm zoom eyepiece. This is a wonderful eyepiece that can completely replace several eyepieces. By adjusting its focal length, you can change the highest practical power without having to replace the eyepiece. It allows you to enjoy planetary observations and forget about additional calibrations. 7. Levenhuk Zongo 40 Telescope Case. This case is made of a sturdy waterproof material, and the padded lining protects the telescope from impact. The case is also fitted with handle straps for easy transportation.